If your glove style is 18 months old it may be outdated technology! 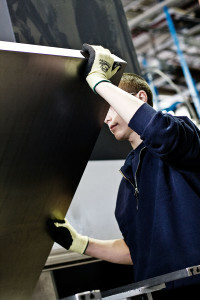 Make sure your employees are wearing the safest gloves available! Let Service and Safety evaluate hand injury risk at your organization to see if your employees are wearing the proper gloves & sleeves. We will discuss possible products that can help eliminate hand injuries and lacerations based on the application/department for the specific employee. 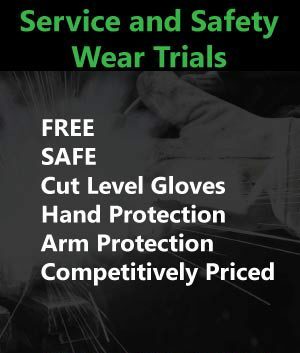 Your organization will invest time in this FREE EVALUATION and wear trial, but will benefit from savings on utilizing proper gloves and reduce hand injury risk to valued employees. This service is provided at no charge and helps your organization select and trial specified products prior to making the investment in hand/arm protection for your organization. We are committed to help you find the proper glove that will offer comfort, safety, and overall protection to your safety program. Get Your FREE Wear Trial TODAY!